Just to show that I have done some painting. 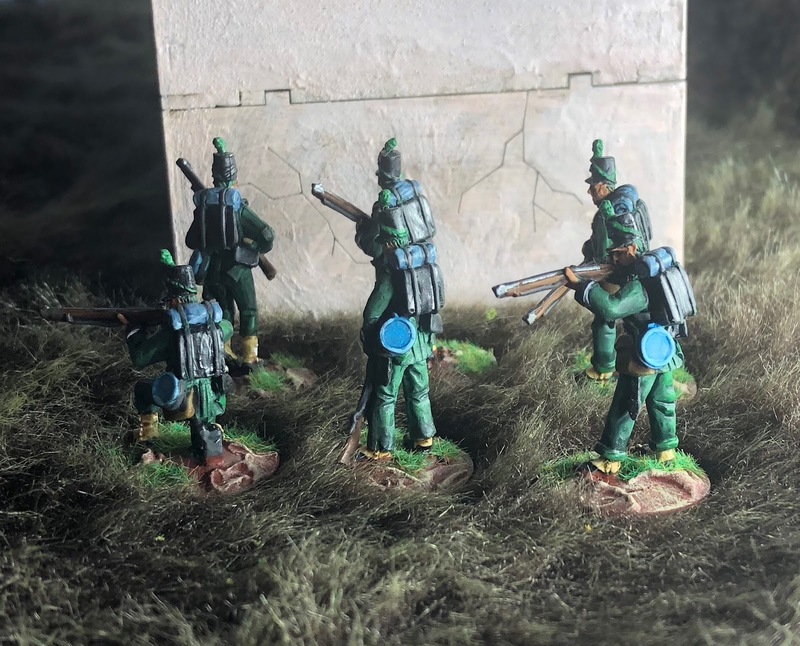 Here we have a group of six 95th Rifles, a skirmishing unit in Sharpe Practice. I have had these on the table for 3-4 months now. They are from the now defunct Alban Miniatures line. 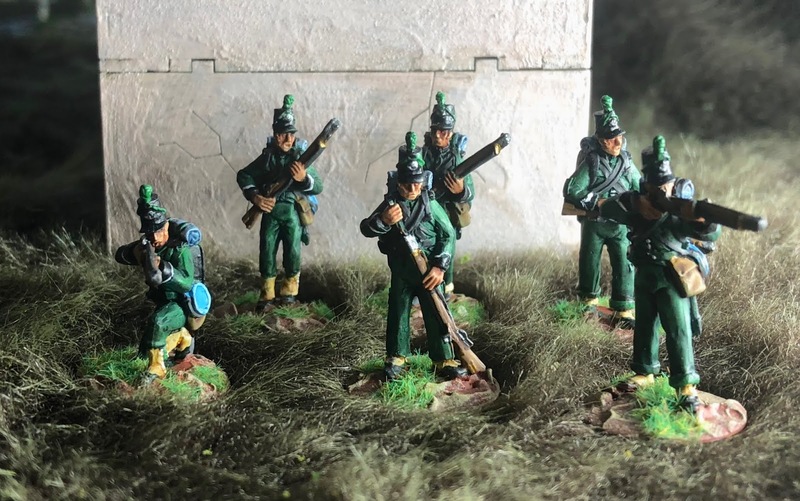 They are really the most anatomic 28mm Napoleonic figures that I have found. I have enough Rifles for 4 units with the Big Men. They will join some French Voliquers and Sharp and Harper. It would be nice to find some British light company figures. Keep looking I suppose. Looking good; Alban went out of business just as I was thinking of buying some myself! Thanks Lee, I hope you enjoy the Sharpe's. I felt they were great fun to watch. Enjoying watching your Blue Moon collection coming together.